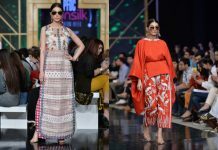 PFDC Sunsilk Fashion Week was all filled up with beautiful colors and enchanting ideas which continued on the second day as well. After many designers, Hanah’s collection was something different from others because it covered the collection for young vision. Hanah’s collection was a mixture of young vision, tempting designs, and bold colors. Each outfit celebrated laughter with shiny style. The pieces were all young at heart. 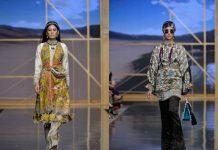 ‘Love Life Lego’ was their first collection that presented an idea of building something new from scrape and bringing forth the perfect unify with various appearance. 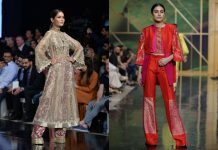 From audacious outfits, lighthearted designs, peculiar and fun accessories, soft color palettes, sequined blazers, and complete flowy dresses all of them were displayed on the ramp. 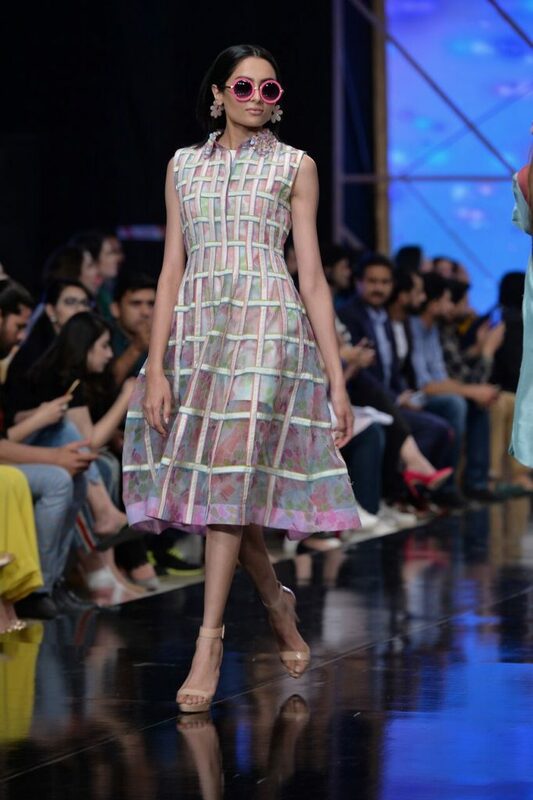 The collection roared summer and spring with pops of neon paired with plains, classic silhouettes, and colorful attires. It was surely a treat for the eyes.